When Morning Mary was growing up in West Cork the sight of one of these Bus/Trains would have been described as "funny looking yokes entirely"! It is quite a while since we posted an O’Dea shot, and these interesting pieces of rolling stock from the Great Northern Railway. What were they doing in Inchicore and is there any example available today? 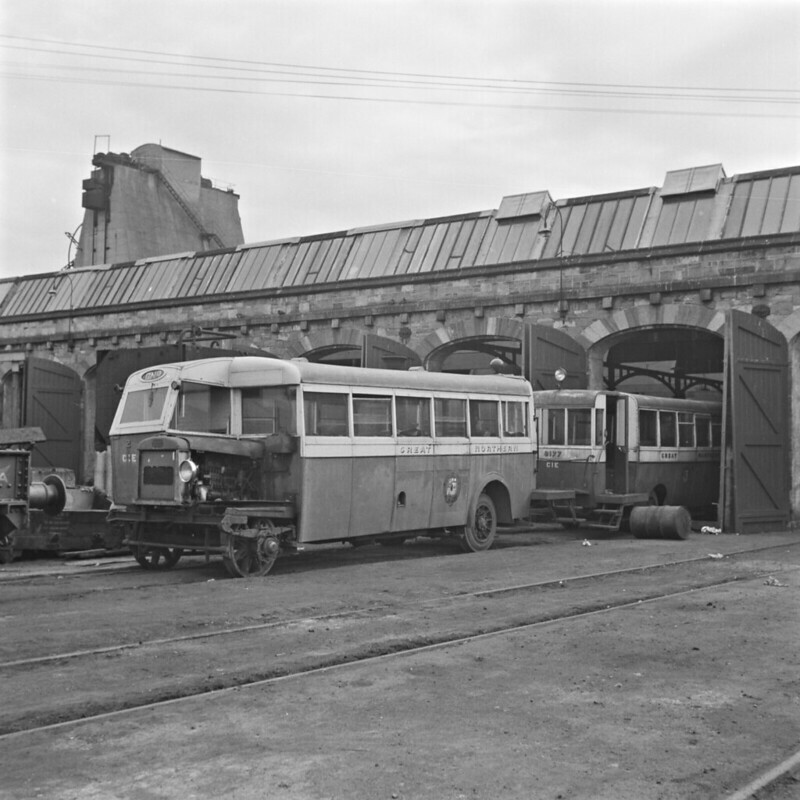 Seemingly several examples of these railbuses (and perhaps even one of these if the complicated numbering and renumbering schemes can be deciphered) have survived and are displayed in the Ulster Folk and Transport Museum…. Image published by National Library of Ireland on The Commons on 2019-02-13 08:23:10 and used under Creative Commons license.